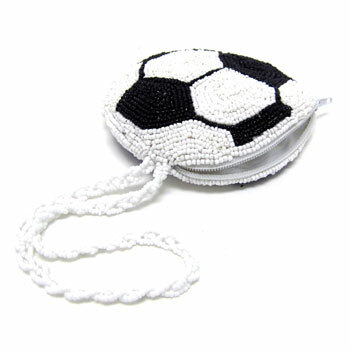 Beaded purse that looks like a soccer ball. 4 1/4 inch diameter by 1/2 inch wide. Sold by the each. $3.00 each for 36 or more. $2.65 each for 72 or more.